Only two days left! 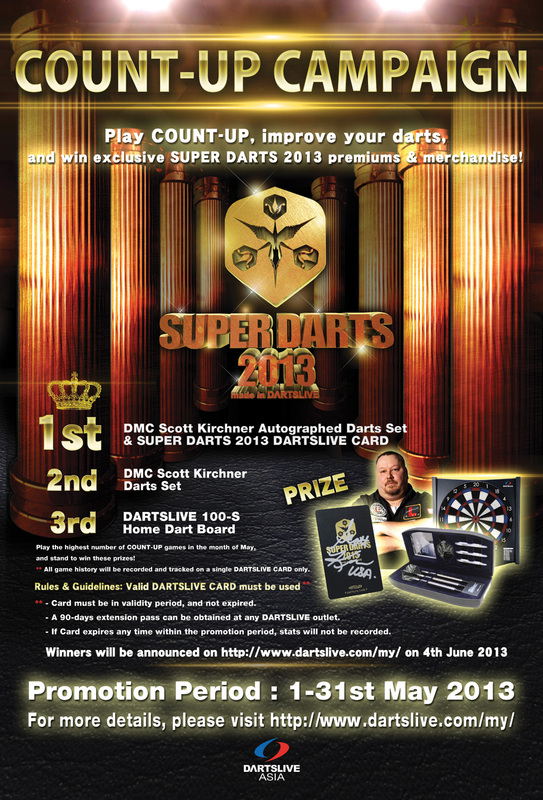 Practice COUNT-UP to stand a chance in winning SUPER DARTS 2013 Champion's autographed Dart set! COUNT-UP is giving away SUPER DARTS 2013 Champion's autographed Dart set! The list of the top ten players of week two will be announced. COUNT-UP is giving away SUPER DARTS 2013 Champion's autographed Dart set! The list of the top ten players of the first week will be announced. 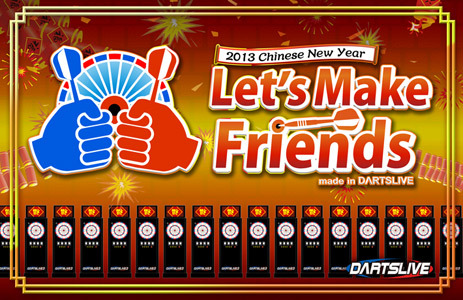 Play COUNT-UP, improve your darts, and win exclusive SUPER DARTS 2013 premiums & merchandise!